Home » iCoffee DaVinci Review: Should You Buy It? iCoffee DaVinci Review: Should You Buy It? The iCoffee DaVinci is a single serve machine that can use all kinds of K-Cup styles, making it a versatile choice for those who prefer to use the cups over brewing a cup at a time with ground coffee and a filter (but you can still use the refillable filter it comes with to make any coffee you’d like). But it’s hard to find because it’s been discontinued. Should you buy one if you find it? Spin Brew technology, which means you get as much flavor as possible from each K-Cup. It spins, steams, and stirs what’s inside the cup before the coffee is deposited into your mug. Aside from the mentions of the Spin Brew technology, nothing really stands out about it as something you can’t get from other models that are sold in stores. It only comes in black, so if that won’t match your kitchen décor, you’ll be out of luck. Here’s the tricky part. You can still buy the iCoffee DaVinci, but you may see unnecessarily high prices attached to it. Walmart, where it’s listed as out of stock, has the price set at just over $50.00 (Check out the latest rates here!). However, venture out to Amazon where it’s sold by “other sellers” (as opposed to coming straight from Amazon), and you’re likely to see much higher prices. It’s a similar story on eBay. It looks like iCoffee could be out of business. That means if you want the comfort of a warranty on your machine, you should look elsewhere anyway, just to be safe. How Does It Compare to Other Machines? Hot water for cocoa, soup, tea, and instant coffee. Also brews iced beverages. 6, 8, or 10 oz. Let’s take a closer look at these machines and how they compare to the iCoffee DaVinci. Review the basic features and see what’s most important to you. 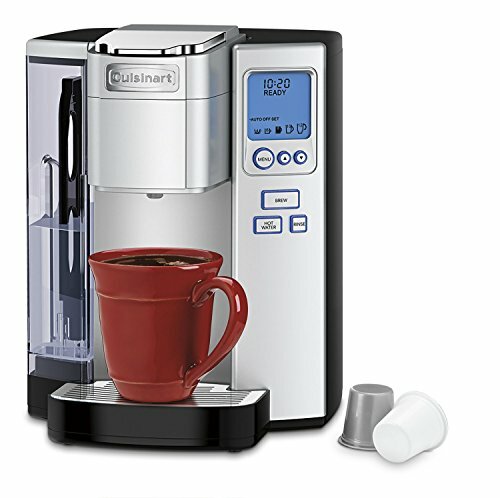 Cuisinart SS-10: This is one of the most expensive ones on the list of comparisons, but it also has a larger water reservoir and hot water option. Plus it offers the same number of cup sizes as the iCoffee DaVinci. Even the dimensions of the machine are similar. Classic Keurig K50/K55: When you want simple, the classic Keurig model still delivers. Pop in a cup, close it up, push a button, and have your coffee in about a minute. You’ll just be missing out on the largest cup size (12 oz.) with this one. 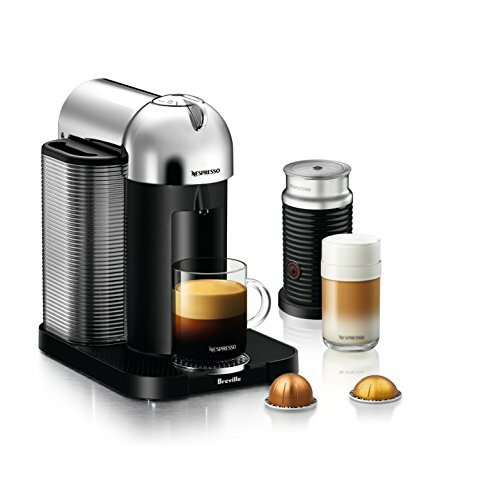 Nespresso Vertuo by Breville: Obviously, this is the one that’s not like the others because it uses Nespresso capsules instead of K-Cups and makes espresso. However, it does make different sizes of coffee. If you like espresso sometimes and want a machine that does it all without taking up a ton of counter space, this one could be the upgrade you need. 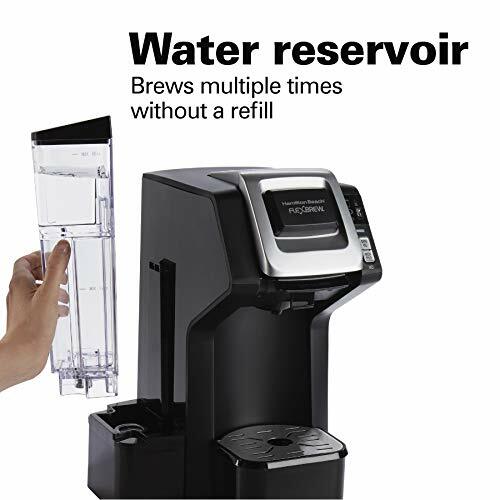 Hamilton Beach Single Serve Coffee Maker with Reservoir: This is probably one of the most similar to the iCoffee DaVinci. It doesn’t have a lot of extra features, but neither does the iCoffee model. They both just make one cup of coffee at a time with the touch of a button without a lot of hassle. You do get a couple of extras with the Hamilton Beach model, like two brew strengths and the ability to use ground coffee with a regular (though small) brew basket. However, the water reservoir is smaller. Overall iCoffee DaVinci Review: Should You Buy It? Final verdict in the iCoffee DaVinci review? I’d pass on this one. As much as the machine has going for it, the outrageous prices third-party sellers are asking, combined with the lack of a safety net in the form of a warranty, would turn me off. There’s no need to pay around $200.00 for a machine that used to sell for about $50.00 when there are so many other great single-serve coffee makers on the market that are still available from the manufacturers and include a warranty. With $200.00 (or much less, actually), you could get a machine that allows you to make espresso beverages, has a more sophisticated design, and even comes with a decent warranty. Several Keurigs, single-serve machines from other popular good coffee maker brands like Cuisinart and Hamilton Beach, and even some of the Nespresso models can give you more for your money. Does it need to make espresso? Would you at least like the option? What kind of warranty comes with the machine? Do you want to be able to use something besides K-Cups? So though my iCoffee DaVinci review is positive when looking at the machine by itself and considering its features and performance in comparison to the price and its pros and cons, purchasing one now doesn’t make a lot of sense. There are better ones out there that are on the shelves in stores. If you ever see one for less than $50.00 and aren’t concerned about having to replace the whole thing when something goes bad, go ahead and grab one. Otherwise, stick with one of the others on this list or branch out to discover even more that will fit your needs.